The global market for personalized retail and wellness has witnessed a plausible rise in its valuation as well as its global outreach in the past few years. From a vast rise in the number of products across categories such as functional food and nutraceuticals to the vast advancements in the field of metabolic profiling, the market has achieved great strides and continues to expand at an impressive pace. Increased availability of a number of technologies for acquiring patient data across a number of aspects, allowing for more accurate and reliable understanding of underlying nutritional needs, has also allowed for the smooth expansion of the market over the years. In the near future, the vast rise in prevalence of a number of chronic diseases, increased understanding regarding the need for healthy life, rising awareness regarding the need for adequate nutrition, and rising geriatric population will contribute to the increased demand for personalized retail nutrition and wellness services and products. The report also presents an account of the other notable factors that will contribute to the increased demand for personalized retail nutrition and wellness services and products. 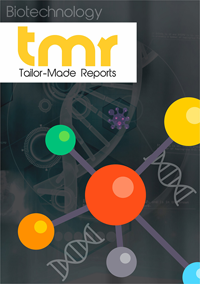 Other key trends, restraints, regulatory factors, and socio-economic factors likely to have a notable impact on the growth prospects of the market are also examined in detail in the report. Rising disposable incomes of people across developing economies are likely to allow for an increased adoption of customized wellness and nutrition programs in the next few years. Companies operating in the market are likely to adopt advanced technologies and machine learning solutions to better understand the nutrition needs of their target consumers. Vast advancements in methods used for collecting and processing patient data are also being utilized to develop personalized nutritional and wellness programs. The population of obese and overweight people is soaring globally and the situation has necessitated the development of reliable weight-loss methods and routines. As consumer demand for such routines or services rises, players operating in the global personalized retail nutrition and wellness will be provided with a newer set of growth opportunities. The trend is also expected to leverage growth opportunities for companies in the field of functional foods. Demand for dietary supplements is also expected to rise as young consumers become more aware of the need for proper nutrition to ensure a healthy lifestyle. From a geographical standpoint, the report covers the global personal retail nutrition and wellness market in regions such as North America, Asia Pacific, Latin America, Europe, and Middle East and Africa. Of these, the markets in Europe and North America are currently the leading contributors of revenue to the global market owing to the presence of several manufacturers of nutrition and wellness products in these regions, high disposable incomes, and high expenditure on healthcare and wellness. The easy availability of new varieties of products owing to the presence of local manufacturing facilities and well-established R&D facilities pertaining to the personalized nutrition sector also contribute to the high share of these regions in the global personal retail nutrition and wellness market. In the near future, while these regional markets will continue to hold substantial shares in the global market, the markets in regions with emerging economies such as Asia Pacific will lead to a promising rise in growth opportunities. This will be made possible by the vast rise in disposable incomes, increased awareness regarding healthcare, nutrition, and wellness among young people, and evolving healthcare infrastructures. As companies realize the vast set of opportunities in the sector, new varieties of and more exhaustive services are being launched and several new vendors have forayed into the development of products and solutions associated with personalized nutrition. Some of the leading companies in the global personalized retail nutrition and wellness market are GlaxoSmithKline plc., Pfizer, Inc. GlaxoSmithKline plc., Bayer AG, Allergy Amulet, DNANudge, STYR labs, Food Marble, and Habit Food Personalized, LLC. In the near future, more new companies are likely to foray into the personalized retail nutrition and wellness market to target the rising set of new consumers in emerging economies as the consumer becomes increasingly health conscious and spends increased funds on nutrition and wellness products and services.